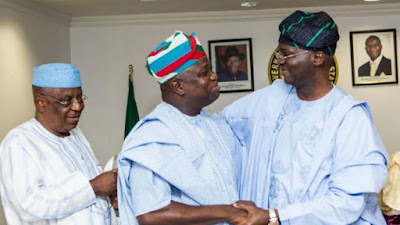 The crisis rocking the Lagos State chapter of the All Progressives Congress (APC), which almost polarised it before the 2019 general elections, is far from over as investigations revealed that Akinwunmi Ambode, the outgoing governor of the state and Babajide Sanwo-Olu, the governor-elect, are not on talking terms despite being members of the same party. 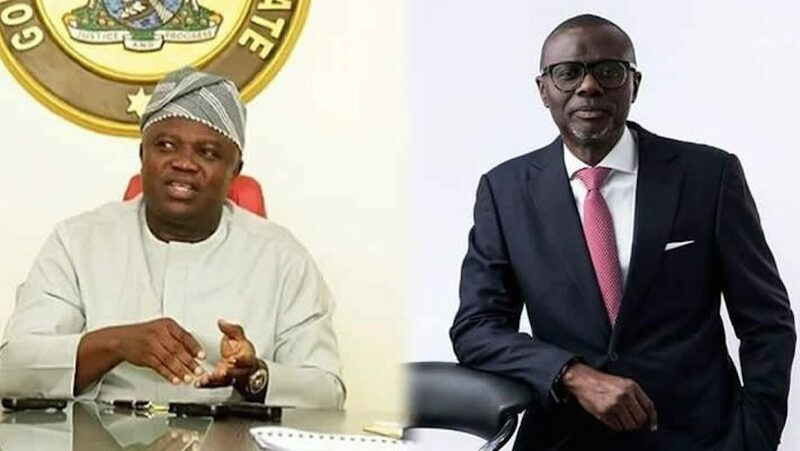 Sanwo-Olu had failed to visit Ambode or acknowledged the governor’s role in his acceptance speech after being declared winner of the election by the Independent National Electoral Commission (INEC). Instead of visiting Ambode, the man who would hand over the reins of governance to him, Sanwo-Olu and his deputy, Obafemi Hamzat, paid courtesy visit to President Muhammadu Buhari in Abuja. Speaking with Daily Independent, a chieftain of the party and a member of the Governor’s Advisory Council (GAC), said he was aware that both men “have not had any meaningful discussion on the transition process since the outcome of the election”. He said the frosty relationship between the two men was not healthy for the development of the state, the party and its supporters. According to him, despite the impression being created that all was well, there was division in the camp of Ambode and Sanwo-Olu and this might impact on the hand-over process if not quickly resolved. “In the spirit of sportsmanship, it is unfair for Sanwo-Olu not to acknowledge the role played by Ambode in his victory. Can you imagine that Sanwo-Olu has refused to pay him a courtesy visit since his victory? That is not how to play progressive politics. “Even in Oyo State, Seyi Makinde has visited Governor Abiola Ajimobi despite belonging to different political parties. It is not about the two individuals, it is about the progress and development of the state. “Even in his victory speech, Sanwo-Olu did not made mention of Ambode. Yet, he praised Asiwaju Bola Tinubu, Adams Oshiomhole and others. It would have been better if he didn’t mention any names at all. “To be frank, Ambode made some mistakes which contributed to his travails. Some of the mistakes have been documented in the media and I think Sanwo-Olu should learn from these and not make the same mistakes in his tenure. “A lot of things happened before the elections, which caused tension here and there. We are all humans. You don’t expect Ambode to be happy with the way he was treated and denied a second term ticket. “Also, nobody in his right senses will expect Sanwo-Olu to be happy with the remarks made by Ambode concerning his past before the primary. But, that is politics for you. The most important thing is for them to work together for the progress and development of the state,” our source said. However, speaking with Daily Independent, another party chieftain loyal to Sanwo-Olu, said the governor-elect, currently out of the country, had no rift with Ambode and had publicly said so. He however claimed that Ambode too did not pay Babatunde Fashola, his predecessor, a courtesy visit after he won the governorship election in 2015. “Ambode will hand over to him on May 29. This is March. So, there is enough time for both men to meet and work out strategy for a successful transition. On the visit to Buhari, Sanwo-Olu had already said he went to congratulate the President for his reelection”.